LEADING SCORERS: Bulls: Markkanen: 18 pts. Utah: Gobert: 21 pts. 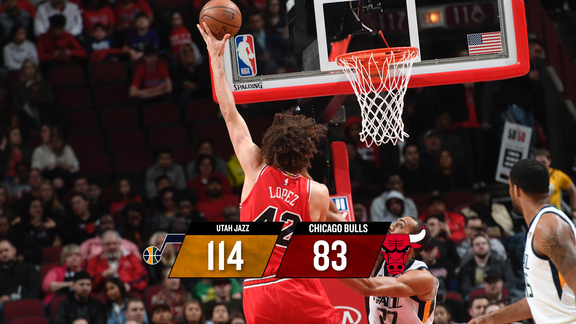 CCI RECAP: Zach LaVine and Otto Porter Jr. joined a host of other sidelined players; the Bulls just didn’t have the depth to match up with one of the better Western Conference teams, as Utah out scored the Bulls 33-18 after one period and never looked back. Lauri Markkanen registered his 20th double-double posting an 18-10 line. 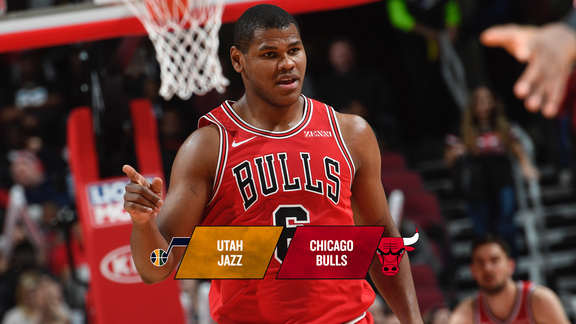 The Jazz outscored the Bulls 33-6 from beyond the arc. Give credit to the Jazz, Rudy Gobert showed why he is an elite player in the NBA with a robust line of 21-14 and 4 blocks. Shaq Harrison set a career high with nine rebounds. Prior to the game, Vice President John Paxson announced the team is shutting down Chandler Hutchison and Wendell Carter Jr. for the rest of the season. The team will closely monitor Porter and LaVine. Atlanta 129 Philadelphia 127. Trae Young’s floater with 0.1 second left won it for the Hawks. Young scored 32 points. Charlotte 124 Boston 117. The Hornets battled back from an 18 point-fourth quarter deficit. Dallas 126 Golden State 91. Luke Doncic had a triple-double (23-11-10). Dirk Nowitzki scored a season best 21 points. The Warriors trail Denver by one-half game for the top spot in the Western Conference. Minnesota 112 Memphis 99. Karl-Anthony Towns with a huge game of 33 points and 22 rebounds. Miami 113 Washington 108. Dwayne Wade scored 11 of his 20 points in the fourth quarter. The Heat remain in the eighth seed in the Eastern Conference. The Wizards are 6 1/2 games behind the Heat with eight games remaining. Sacramento 112 Phoenix 103. Buddy Hield set a franchise record for most three pointers in a season - standing at 245 and counting - with two plus weeks left. 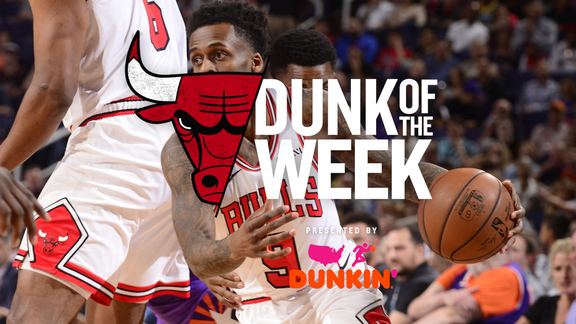 He drained seven of 14 against the Suns. Portland 117 Detroit 112. Damian Lillard with a 28-6-9 game. Don’t look now but the Blazers are only a 1/2 game out of third place Houston in the Western Conference. Minnesota’s Derrick Rose’s season is over after the former MVP underwent surgery to remove bone chips from his right elbow. ESPN is reporting Pau Gasol will miss approximately one month with a left ankle injury. The banged up Bucks are already dealing with injuries to Malcom Brogdon and Niko Mirotic.